It’s back to the basics the first month of school and I find that beginning with the basics of music concepts with all students is a great way to get everyone back into the groove. The steady beat is the first thing I review and teach. In order to reach all learners, I use a variety of activities where students can experience the beat through visual, aural and kinesthetic opportunities. This way all students have the best chance at feeling the beat. I especially love to teach the steady beat to my kindergartners. They are so excited to move to ANYTHING in music class. At the beginning of the school year I do a lot, I mean TONS of BEAT activities. There’s so many fun ways to feel the beat. So, Here’s my top five ways to teach the steady beat. At first, I focus on feeling the beat on the body, so I’m using body percussion activities with my students to help them feel that beat. I focus on playing body percussion on the beat. We save rhythms for the next level. You can use a simple Steady Beat Map and ask students to create patterns using Clap, Pat, Snap and Stomp. When I begin teaching the Steady Beat, I used a large classroom drum. Students get to take turns too. As students gain confidence, have them create patterns-on the beat and share with the class for a great interactive lesson. Try letting them write the patterns down too. For older students have them create 8 bar patterns using a partner. I continue to encourage them to make sound on the beat. The pulse of the music is felt from within the student. It’s not something we as teachers can “make” them get. Since young children are still developing the coordination of large and small motor skills. I use different movement activities that will exercise and strengthen these muscles. Large motor skills involve running, jumping, throwing, crawling, rolling, hopping, balancing on one foot, kicking, climbing. Small motor skills involve mostly muscles in the hands and fingers and focuses on things like grasping, holding, and manipulating small objects. Things like, picking up a small object, writing, stringing beads, cutting with scissors, and tying shoelaces.Instead of making sounds as in patting, clapping and snapping, I want the students to be able to hear the music and respond to it. Miming and pretending activities are a great way to have students engaged, and use both large and small motor skills but quiet. During the music, I will ask the students to copy me. I then perform a series of actions that will mimic things they might do in real life.For example:Pick up a baseball-squeeze it-bounce it-toss it-catch it-throw it far-catch another one (repeat)Pick up a thin paintbrush and paint a mural on the wall that includes large objects like mountains and small objects like butterflies.Putting on winter clothing-first the coat-button it-scarf-wrap it-hat-pull it down-boots-pull them up-gloves make sure each finger is snug-go outside-make some snowballs-build a snow-fort-toss the snow balls-skate on ice.Do a series of actions that begin small, then get big, then get small again, like the planting of a seed, the growth of the plant, the harvesting and withering.Weather: rain falling with fingers wiggling and arms moving up and down, wind blowing big arms over head, down to the ground, side to side and cross ways.There are many, many fingers plays that can be used for this activity. I find that if I create a scene it’s pretty easy to make up the movements. Then I will ask students to lead us. I ask them to tell me in a whisper where we are (at school, park, Disneyland?) and what we are doing. That way I can help out if needed.I’ve found that incorporating movement activities in almost every lesson is important because the students need to have enough experiences with feeling free in their movement so that they are not inhibited or nervous.Use music and movement activities to feel the pulse of the music. Coordinate movements to reflect the pulse. That’s one reason I really love the “Carnival of the Animals” by Camille Saint Saens. It’s perfect for these kinds of activities. I use movement cards in a power point to help students feel the beat too. This activity is also a great transition activity from classroom to music room. I copy and paste the cards in a repeating pattern and put music on the power point to play across the slides. That way I can change the slides on 4 or 8 beats to accommodate Kindergartners through Sixth Graders. 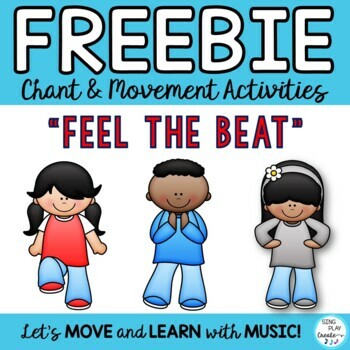 When I show the “Feel the Beat” card-I tell students that it’s their free choice to show the BEAT! To use this activity with older students I find popular/clean “strong” beat songs. I’ve used; “Despicable Me” because the beat is a nice moderate tempo, and Pentatonix’s “Na Na Na”. It’s a great choice because it’s got some hand clapping in the intro which is PERFECT for body percussion lessons. Here are the free Movement cards from my store that I use in my steady beat activities. Teaching a chant and showing the steady beat is a great visual and aural activity. This week in Kindergarten I’ve had students singing and moving to train songs. Using trains to teach the steady beat really livens up our Kindergarten classes. First, help them feel the pulse of the beat by tapping knees as students listen to the song. A nice rendition with lyrics by Paul Jennings at MK-8! Engine, Engine number nine, going down Chicago line. If the train falls off the track, will I get my money back? Then show them the picture of how the sounds fit on the beat. Help them feel the beat by marching on the beat as they chant. Students can practice playing the Beat on their knees and later with their feet. I chant as the students pat the beat. Then I teach students long and short sounds using rhythm symbols. Show them that sometimes there is one sound on the beat and sometimes there are two sounds on the beat. Have them chant as they play the beat on their knees. 1-Move around the circle marching on the beat as students chant. 2-Some students play hand drums on the beat as the class marches on the beat. 3-Use a Stretchy Band as a train and march on the beat. 4-Assign students to be the “Conductor”, the “Train Cars”, the “Caboose”. Choose one student to be the conductor. Have that student lead the class around the room in snakelike patterns. Ask the conductor to go UP the mountain, DOWN the mountain, LEAN to the RIGHT, LEAN to the LEFT, STOP and GO. Encourage everyone to follow the conductor. Sometimes I’ve used scarves for students to hole to connect the train. If you subscribe to my newsletter, you’ll be able to get this resource with lesson ideas and more teaching pages in the FREE RESOURCE LIBRARY! 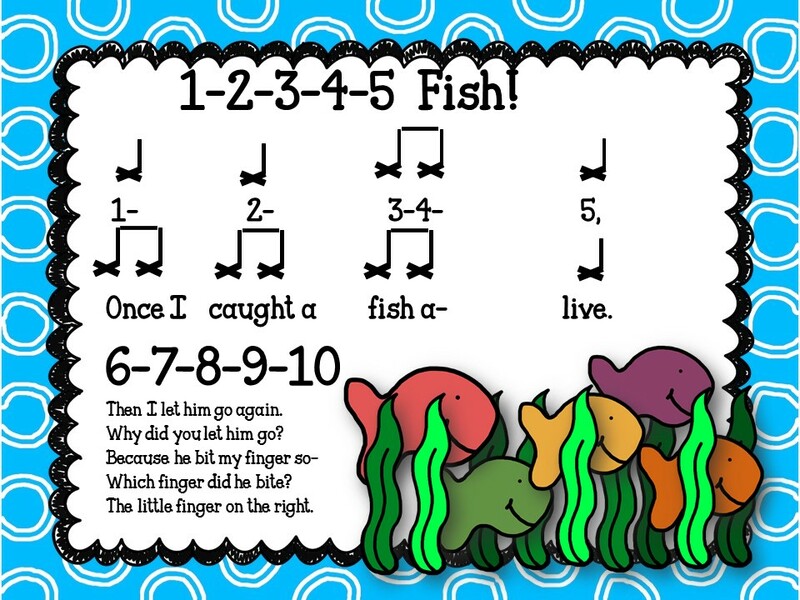 This is a favorite First Grade Chant that I use to review and/or teach steady beat. Later I combine Rhythm and Beat together. For now, I just focus on the beat. I combine some of the train activities from the Kindergarten lesson because many of my students are new, and they LOVE the activities. My students love this chant because we change our voices using Low when the question is asked and High for the answer. Teach students long and short sounds using rhythm symbols. Show them that sometimes there is one sound on the beat and sometimes there are two sounds on the beat. Have them chant as they play the beat on their knees. Older students love to talk about PIZZA! (And if they don’t-they’ll tell you what they like to talk about!) this Here’s an example of how you can use things that your students like to help them relate to feeling the steady beat. This is a pretty basic printable that I use. I have my students label: Time Signature and write it in, Steady Beat, Staff, Sounds/Words and practice writing the notes. Using props is another way to help students gain a sense of the pulse or steady beat. I use scarves and ribbons to help students show the beat. I also use Stretchy Bands to help students feel the beat. As part of our train lesson I finish up with a Stretchy Band Train Activity. You can read more about Stretchy Bands Here: “Stretching Learning with Stretchy Bands.” I gather students in a circle and give them a spot on the band to hold. Then I tell them we’re going to be a train. I ask students to hold the band on their color and help move the train through the countryside. I tell a little story to them as we ride the train meanwhile bouncing the stretchy band up and down as we walk around the circle. The think I like about using props to teach the steady beat is that they help the students who learn best visually. Seeing the scarves, and stretchy band go up and down on the beat is another great way to help students sense the pulse of the beat. What kinds of props do you like to use? By incorporating activities that engage my students through aural, kinesthetic and emotional applications, I will be giving them many opportunities to gain an inner sense of pulse. Here’s my FREE “HEATBEAT” STEADY BEAT LESSON which incorporates all five ways to teach the steady beat. I’ve found that if I start my school year off with Steady Beat activities, I’ve transitioned everyone into the new school year, reviewed basic concepts, built classroom community through circle activities and “caught up” the new students. It’s a successful combination of diverse lessons and activities that give my students a solid foundation of skills to build upon throughout the rest of the year. The great thing about these five ways to teach steady beat is that I’m reaching all learners! 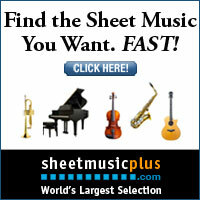 What ways do you use to teach the steady beat?